A time-tested blend that is good for defending illness and boosting immunity. Formerly we called this Defense Blend. It is based on an herbal formula that has stood the test of time. This warm, spicy, stimulating blend reminds us of fall and winter and just happens to be great for defending illness and boosting immunity which we need even more of during the cooler months. 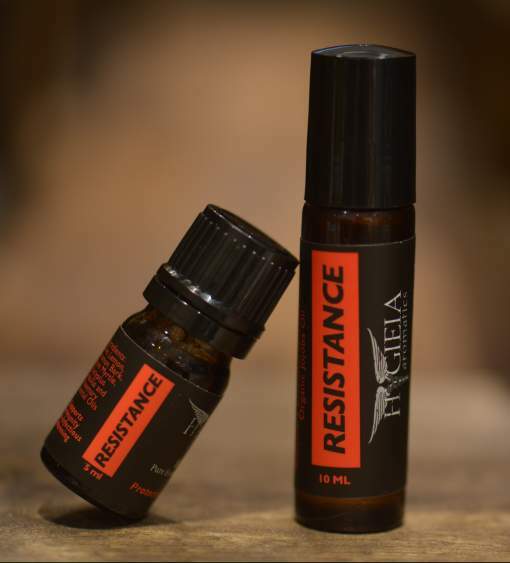 This blend is similar to the popular thieves blends on the market, embracing the anti bacterial, anti fungal and anti viral properties of some of the most powerful essential oils . Includes Cinnamon, Clove, Lemon, Eucalyptus, Rosemary and more. Great for colds, flu, viruses, and killing germs in the air and on surfaces and even fighting molds in our environment – the oils in this blend provide resistance to all that ails us. Great to use in homemade house cleaners. This is a strong blend that should only be diffused for shorter periods of time – stick to an hour or less, especially in small areas or if using a nebulizer diffusing pure essential oils. Also a wonderful warming aid to the muscles, pain relieving, great for skin eruptions like cold sores, warts and infections, encourages circulation, and is even a digestive. A great one to apply to the bottoms of the feet when illness takes hold. Always dilute with a carrier as some of the oils in this blend are strong sensitizers and could irritate the skin. Do not diffuse in the bedrooms of children under the age of 3. Available in full strength and in a pre-diluted 10 ml roll-on.